• Body surgery: C-section, thyroidectomy, cardiac surgery, etc. • Facial surgery: eyelid surgery, etc. How do I apply DermaScar®? Apply DermaScar® twice daily – in the morning and evening. 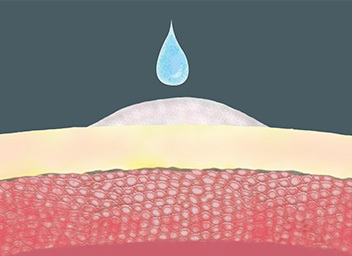 DermaScar® must be applied to dry, intact skin. If you have a scar from surgery, check that the wound has healed first before applying DermaScar®. This is typically 10 to 14 days after surgery. Before applying DermaScar® clean the area first with mild soap and water and then pat dry. Important information: A wound is normally healed when it is closed and dry. If the wound is wet or weeping it may not be fully healed. If you have any doubts check with your doctor or pharmacist. 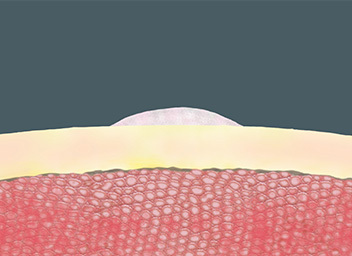 Place a pea-size amount of gel at the tip of the scar and gently spread thinly over the affected area. A pea-size amount is enough to cover a 12cm scar. A little amount goes a long way, so just use enough DermaScar® gel to thinly cover all of your scar. There is no added benefit of using extra gel or to apply a thick layer. All that will happen is that it will take longer to dry. If the scar is on your face be careful not to get any gel near or in your eyes. DermaScar® is not for internal use. Allow the gel to dry for 1 to 2 minutes. 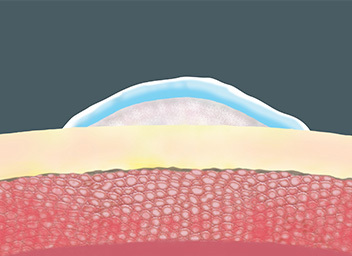 Once dry, DermaScar® may be covered with cosmetics or sunscreen. If DermaScar® takes longer than 2 minutes to dry you have applied too much. Take note of how much you used and when it is time to apply the next dose of DermaScar® in 12 hours time, remember to use a little less. Remember, applying extra DermaScar® does not increase its effectiveness. Apply DermaScar® over the scar twice daily. Always read the label. Follow the directions for use. If symptoms persist, consult your healthcare professional. 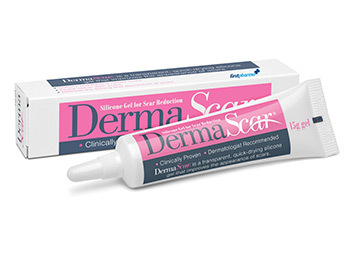 DermaScar® is for external use only – it should not be applied to open or fresh wounds, placed in contact with mucous membranes or too close to the eyes. DermaScar® should not be applied over antibiotic skin preparations or other skin treatments or products. DermaScar® should only be applied to closed wounds, and not applied to open or wet wounds. Do not use DermaScar® in conjunction with other skin medications without first seeking the advice of your doctor.